With the current competition going on among the service providers in Nigeria, MTN have decided to give out something massive to all its customers which they call the Mtn techplus Dealzone 7gb for N2000. Note that this is not in any way a tweak, its officially from MTN and it doesn't require any trick whatsoever. So instead of getting just 3.5gb for N2,000, you can actually get a massive 7.0gb for the same amount. I know this sounds very amazing but the unfortunate part of it is that it's a promo and so going to be on for a short period of time. So for those who might be interested, it's better you subscribe while the promo is still on. 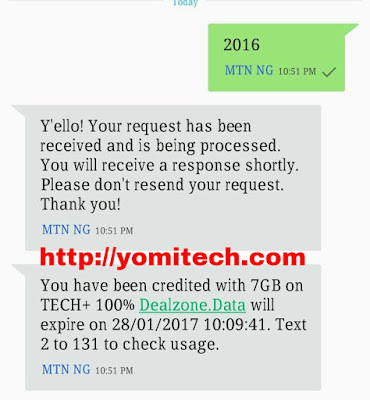 ==> Make sure you have at least N2,000 on your MTN line. 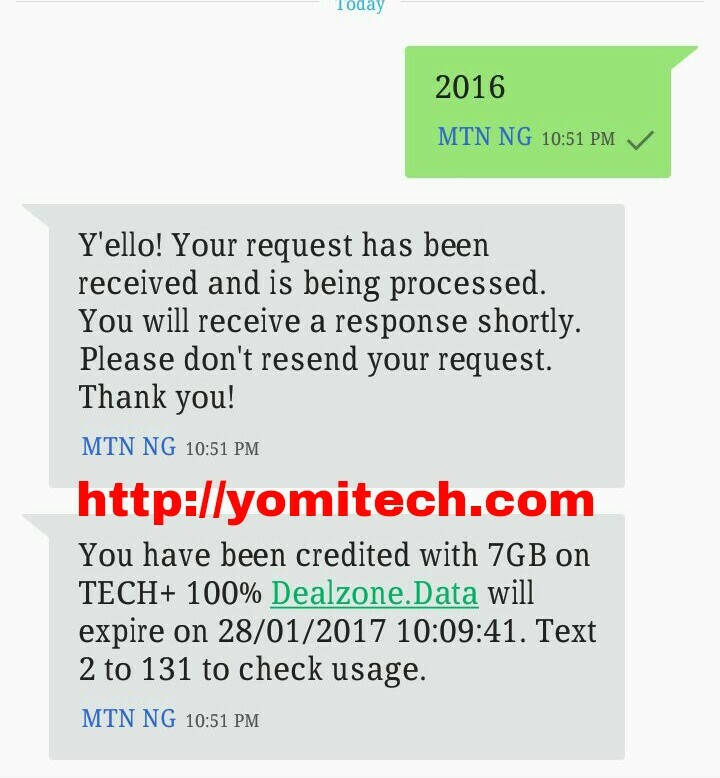 ==> Text 2016 to 131 and you receive a message upon successful activation that t you have been credited with 7GB on Tech+ 100% Dealzone. ==> You can always check your balance anytime by texting 2 to 131. Note that this data works on all Internet enabled devices and as I said earlier, this is just a promo and it will close very soon, so enjoy it while it last. If you have any question, don't forget to drop it in the comment box below and also if you find this post helpful kindly share.